** RUGBY SPECIAL ** Exeter Chiefs VS Newcastle Falcons Sandy Park A pre and post match pint, with complimentary luxury mini-bus transport to and from the games at Sandy Park. Only £15 per person! 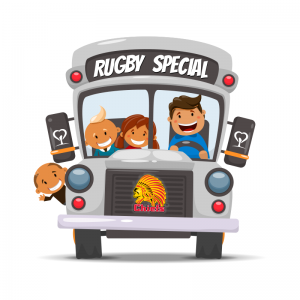 ** RUGBY SPECIAL ** Exeter Chiefs VS Bath Sandy Park A pre and post match pint, with complimentary luxury mini-bus transport to and from the games at Sandy Park. Only £15 per person! ** RUGBY SPECIAL ** Exeter Chiefs VS Wasps Sandy Park A pre and post match pint, with complimentary luxury mini-bus transport to and from the games at Sandy Park. Only £15 per person!